If you live in downtown Bellevue you know the skyline is changing on a daily basis. Multiple tower cranes are perched above new apartments, office towers and mixed use projects, continuing Bellevue’s transformation into a vibrant city with a thriving central business district, active arts and entertainment scene and some of the best shopping and dining north of San Francisco. If you purchased a condo in or near Bellevue’s central business district in recent years, you’ve also seen your property value increase. The urban lifestyle is in high demand and buyers of all ages/lifestyles are seeking amenity rich, walk-able neighborhoods as opposed to more suburban communities. If you’ve owned your downtown condo for at least five years, your property values have increased along with the city’s growth. That’s just over a 40% increase in value. Not everyone may be happy about the changes downtown, but its tough not to appreciate that the growth has created a significant increase in property values. 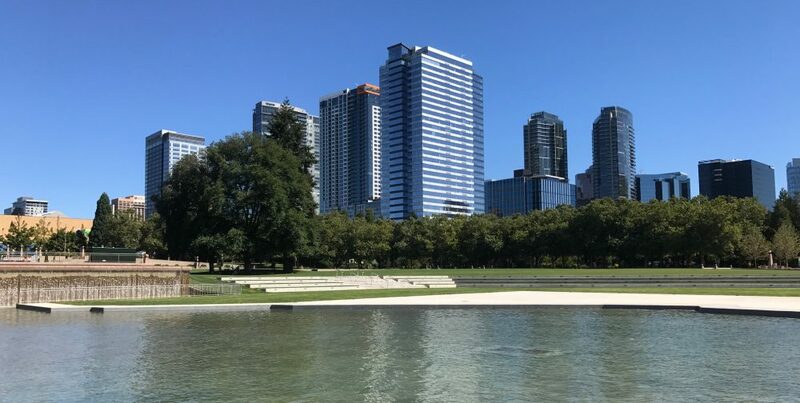 This entry was posted in CITY LIVING, Condominiums, DOWNTOWN BELLEVUE, REAL ESTATE and tagged BELLEVUE, CITY LIVING, condominiums, lifestyle, REAL ESTATE by Robin Myers. Bookmark the permalink.